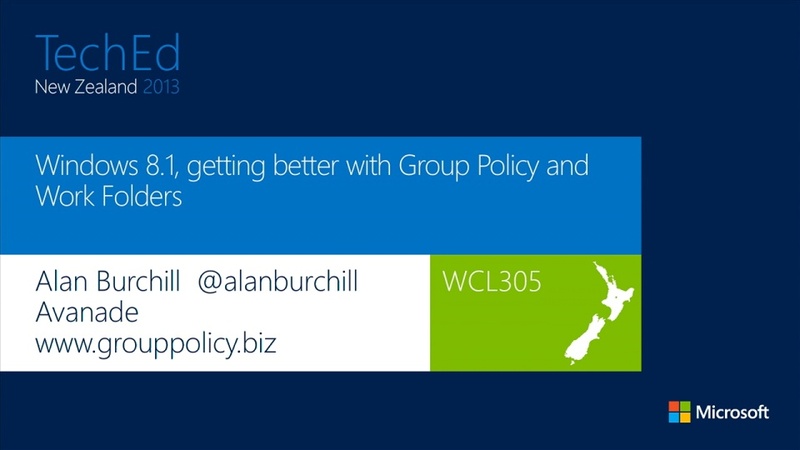 My TechEd New Zealand session about Group Policy and Work Folders is now available for viewing. This session shos a combination of what is new with Group Policy in Windows 8.1. It also is ha a shorter version of my other work folders sessions I presented at TechEd Australia the week before (see Windows 8.1 Folders Overview – My Corporate Data on all my Devices). As the session is nicely split into two you can checkout the new group policy features buy just watching the first half of the recording. Update: Thank you New Zealand!!! as this session was ranked #1 for the Windows Client track and #14 overall for the entire event (out of 150 sessions). Guido Oliveira liked this on Facebook. Mateusz Wojcieszak liked this on Facebook.